1. July 19, 2017 - I planted the pickling cucumber vine just 2 months ago in the greenhouse. 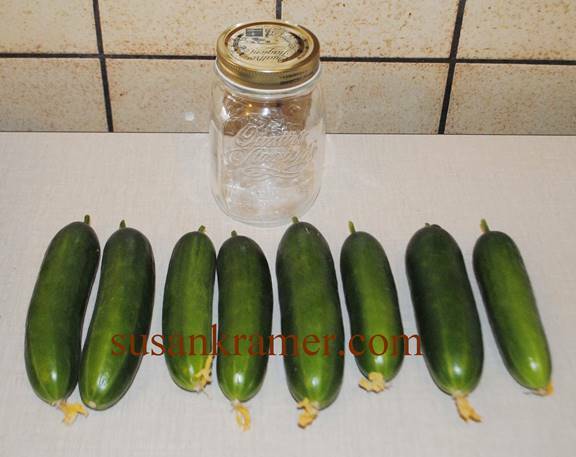 Here are 8 cucumbers that I made into one pint of sweet-sour pickles: 2 of these half pint jars. 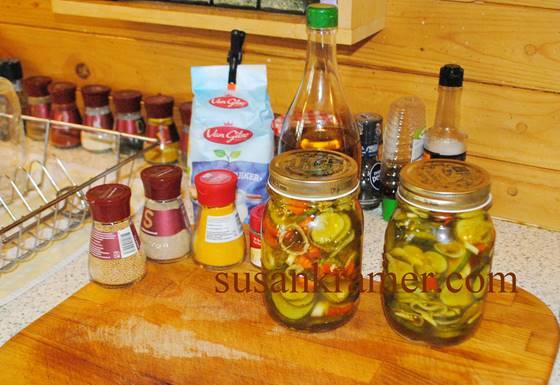 Wash and sterilize half pint jars and lids. 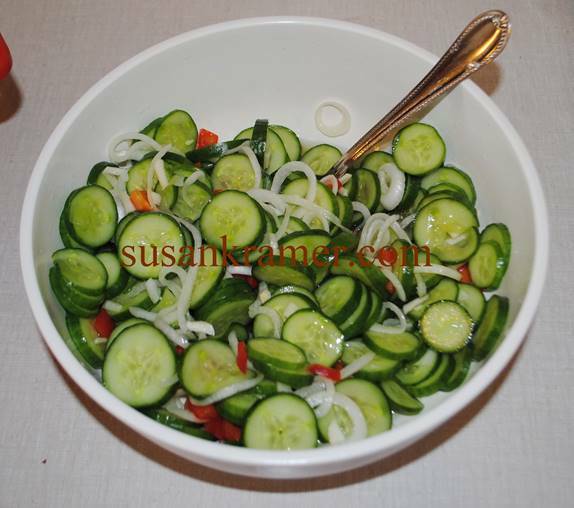 Wash 8 pickling cucumbers - they are firmer than bigger salad cukes. Mix all together and let sit about 3 hours. About once an hour I remixed with this spoon. When time is up drain mixture in colander and add to brine. Stir vinegar mixture and bring to boil. Add in drained cucumber mixture and bring back to boil. Turn off heat. 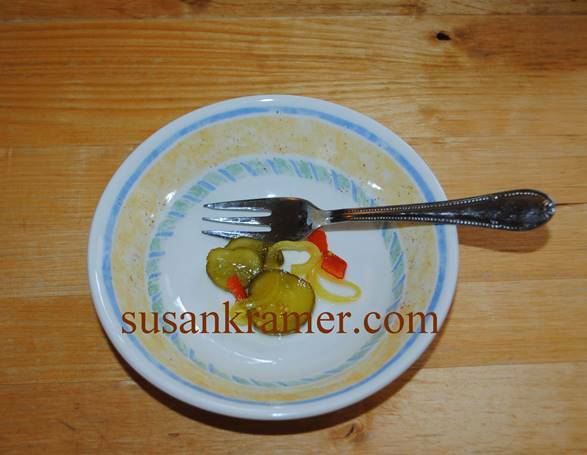 Ladle into sterilized jars to ½ inch from top of jar, and seal with lids screwed on tightly. Cool on counter and store in refrigerator till used. 3. July 19, 2017 - The finished pickles. 4. July 20, 2017 - Tasting our new pickles - hubby and I liked them!